In Peru, patent rights are protected against an infringer by an infringement action duly filed before the administrative authority and a criminal action duly filed before the judicial criminal authority. Administrative actions can be submitted as administrative proceedings before the Commission of Inventions and New Technologies (CIN) of the National Institute for the Defence of Competition and Protection of Intellectual Property (Indecopi). With regard to criminal proceedings, criminal actions can be submitted in specialised courts. Administrative proceedings of a patent infringement start with an infringement action, which is submitted before the CIN along with the patent document protecting the plaintiff’s rights, and clearly points out both the alleged infringer and the address of the facilities where such infringement actions are alleged to have taken place. A verification inspection of these facilities will be carried out. An administrative proceeding can also be entered against actions that show an imminent infringement. They can be raised either at the request of a party or ex officio (see article 238 of Decision 486 of the Andean Community Decision, in force since 2000, and articles 97 and 99 of Legislative Decree No. 1075, in force since 1 February 2009). the first criminal instance decision (which can be a judgment of acquittal or a judgment of conviction) that can be appealed in the superior court, which is the second criminal instance. Industrial Property crimes are classified in the Peruvian Criminal Code (see article 222, paragraph (b) for crimes related to patents and article 224 for preventive seizure, confiscation and destruction in aggravated cases by the judicial authority). The owner of a patent right that has obtained a favourable resolution in the second administrative instance in an infringement proceeding can sue the infringer in court by requesting compensation for damages in a civil trial. This action will be limited to two years after the administrative process is concluded, as per article 129 of Legislative Decree No. 1075. The administrative proceeding format of a patent infringement is outlined as follows. A formal complaint for a patent infringement is submitted that fulfils the requirements of article 99 of Legislative Decree No. 1075. A temporary injunction can be requested until a resolution is issued. After the formal complaint is accepted for consideration, the administrative authority orders an inspection of the facilities wherein the infringement act is alleged to have taken place. Products with protected patent are also recorded, temporary injunctions are given, the infringer is notified and an official inspection minutes is taken. The infringer has a five-working-day term to reply the infringement complaint (article 102, Decree No. 1075). In the following stage, the parties are summoned to attend a conciliation hearing. If the parties reach an agreement, the proceeding finishes and a deed in which the relevant agreement is stated shall be drawn up and shall have executive force (article 108 of Legislative Decree No. 1075. If an agreement is not reached, the proceeding pursues, a substantive examination must be carried out, to be paid by the plaintiff (article 109, Decree No. 1075), within a term of 10 working days or the complaint will be declared abandoned. The first instance resolution is issued with or without a reply to the complaint. If the resolution is unfavourable to any party the only impugning brief to be filed is an appeal; that party can lodge an appeal within a five-working day term as per article 133 of Legislative Decree No. 1075, with the same term offered for the other party’s reply. The second-instance resolution can be impugned before the judiciary. other items evidencing a certain fact, activity or result. Moreover, the parties should offer other probative means such as inspection and expertise (article 103, Decree No. 1075). The cross-examination of witnesses is unusual at an administrative level. Expert external or internal patent examiners are involved to evaluate the probative means (physical samples, photographs and reports from the interested party) by issuing a technical report. They carry out a technical assessment of the specification and the set of claims in order to limit the scope of the exclusivity rights of the plaintiff and determine how a certain infringement supposition is shaped. The issues to be discussed are solved by a professional administrative commission consisting of three to four members making use of the technical report issued by the patent examiner or expert. The development of an administrative proceeding for infringement of patent rights until the issuance of the first instance resolution takes about six months (pursuant to article 128 of Legislative Decree No. 1075 it should last 180 days until the conclusion of the proceeding). In the second instance it would also take the same amount of time. The development of a criminal proceeding is described below. The first step towards formalising the prosecution is a police investigation wherein the parties are summoned to present their statements. At the conclusion of the investigation, a police affidavit is sent to the district attorney’s office. After investigation and analysis, the office may conclude with the formalisation of the prosecution before the criminal court. The criminal court opens the investigation with the offended party assuming the position of the civil party. The district attorney’s opinion is issued, followed by the issuing of the judgment, the reading of the judgment and the appeal. The investigations, sworn declarations, statements, documents and witnesses are presented, followed by the submission of the Indecopi reports. In both instances trial is by criminal court - in the first instance with a judge and in second instance with a professional body of three judges. Given the policy of expediting criminal proceedings and elimination of written stages, the time frame has been shortened, so that the trials may last between two and three years depending on the procedural activity of the parties, the experts, the technical reports of the parties and the Indecopi report. The burden of proof corresponds to the plaintiff with exception of patents related to a process wherein the burden of proof is reversed. In such cases, the defendant bears the burden of proving that the process used for obtaining the product is different from the process protected by the patent. In Peruvian practice, the probative difference between an infringement of a patent on a product and an infringement of a patent on a process, falls in one case on the patent holder who should submit, together with his or her denouncement, the infringing product and the corresponding purchase invoice thereof, duly attested by a notary public, in order to prove that the product is being offered for general sale. In the case of a patent on a process, the owner denouncing the infringement is not required to demonstrate the infringement since it is assumed that the patented process for obtaining the product that is being offered for general sale has been used without his or her authorisation, for which reason the defendant has to demonstrate that the process used is different to the patented process. For example, the defendant may submit as a proof the master file of the production of the medicament that is the complete file of the stages of the medicament, and may confidentially detail all of the process steps of the product that is the subject matter of denouncement to demonstrate that the steps of his or her process are different from those of the patented process. Only the owner of a patent in force is entitled to sue for patent infringement (article 238, Decision 486), and if the patent infringement is instituted ex officio then the administrative authority initiates the proceeding. In the case of a product patent, the probative means must be appropriate so that the plaintiff can prove the infringer has committed the alleged illegal actions. Collecting proofs is the responsibility of the plaintiff, who affirms the actions that support the infringement (see article 104, Legislative Decree No. 1075). In cases where infringement of a patent on a process for obtaining a product is alleged, defendants are liable for proving that the process they have used to obtain said product is different than the process protected by the patent whose infringement is claimed. Therefore, in such cases, any identical product produced without the consent of the patent owner will be presumed, in this respect and unless otherwise proven, to have been obtained by the patented process, if the product obtained by means of the patented process is a new product or if there is a strong likelihood that the identical product was manufactured through the patented process and the patent owner is unable, despite reasonable efforts, to determine the process effectively used (article 240, Decision 486 and article 104, Legislative Decree No. 1075). Criminal proceedings can be initiated either ex officio by the district attorney’s office (in charge of accusing, investigating and formalising prosecutions, charges or reports) or at the request of the owner of a product or procedure patent. Any person can be accused of using a non-authorised patent before a judicial criminal court and can receive an unfavourable verdict if it is shown that they store, manufacture or use with commercial purposes, offer for sale, distribute, sell, import or export products protected by a patent. The concepts of inducement and contributory infringement are not considered in either legislation or case law. Any person who manufactures, offers for sale, sells, uses or imports the product can be liable for infringement (article 52 of Decision 486). When a procedure is claimed in a patent, any person or company can be accused of infringement as long as said person or company uses such procedure or carries out prior actions with respect to a product obtained by the protected procedure. Although we have not found any cases of multiple party infringement, if the fact that each party carries out the steps or elements of the patent claim to produce the whole patented object is demonstrated, action would have to be taken against each one of the involved parties. Present legislation does not prohibit entering actions for infringement of rights against several individuals; however, in accordance with present practice, each individual is usually accused in separate proceedings. Two or more individuals can be jointly accused in a single file. In this case, it will be necessary to demonstrate that the same product is involved, that the accusation corresponds to the same controversial matter and that the same infringing facts are common to the accused individuals, that is, it is required to prove that such individuals are linked. If two or more enterprises are accused, it is a requirement to prove a real link between them by documents showing that the same infringing facts are dealt with and that the material facts are common to the said two or more accused enterprises. For example, if two enterprises are accused and one of them acquires the infringing product from abroad and the other one sells the product within the domestic market, it will be necessary to prove that one of them imports the infringing product and the other one distributes the said product and that the acts of both firms refer to the same infringing fact and to the same imputed product. The link between both enterprises should be proven regarding the same infringement by documents demonstrating a connection between the infringing facts. Further, payment is demanded for each accusation and each inspection at the premises of the accused enterprises. It is possible to take action before the Peruvian Customs in order to prevent the import into Peru of the infringing products, in accordance with article 52, paragraph a) of Decision 486 (Andean Legislation) that confers on the owner of a patent right claiming a product or a process, the right to prevent third parties not having the owner’s consent, in addition to make the product or commercialise it, to import the patented product. Peruvian law establishes that the scope and protection of a patent can be determined by the content of the claims (articles 30 and 51 of Decision 486). Formerly, under article 51, paragraph 1, the Peruvian administrative authority interpreted that the scope of protection was defined by the literal text of the claims and did not consider patent infringements by equivalents. Therefore, in order to analyse an alleged infringement action, the Peruvian administrative authority reviewed and was limited to the literal text of the claims. If the claims were not clear, the Peruvian administrative authority reviewed the main text of the specifications as such. The administrative authority expressly recognises the possibility of the equivalents doctrine application for the analysis of protection extension of the patent in cases of infringement of rights, and makes an interpretation supported in the specifications, article 51, paragraph II, since it considers the possibility to interpret the scope of protection beyond the terms used in the literal text of the claims to be open. The scope of the granted protection is restricted to the text of the claims. However, if the text is unclear, it can be interpreted in the light of the specification. There are two stages, one is of assessment by identity, that is the examiner reads literally the claims and if from the reading there is no infringement, then the examiner will pass to the second stage for interpretation by equivalents. Regarding the case Resolution No. 3114-2009/TPI-Indecopi dated 23 October 2009, docket No. 838-2008/OIN, pages 8 to 11 and 18 to 20, the owner of Patent No. 0353, Mr Canepa, denounced as an infringement the manufacturing of a lock that reproduces the technical characteristics protected by his patent, against the firm Nor Industrias Elliott SRL. The examiner pointed out that the locks were not identical and dismissed the literal infringement of the patent and passed to assess the infringement by equivalents and used the test of triple substantial identity (function-mode-result). The first instance declared the infringement well founded and prohibited the use, manufacture, sale and commercialisation of the infringing products, which were seized as well as the machine with which they manufactured such products and a fine was imposed on the infringer. The defendant appealed the decision and by Resolution No. 3114-2009/TPI-Indecopi, the second instance confirmed the infringement after performing the following analysis. First, they analysed the text of claim 1 in the light of the specification and then they asserted that the scope of the patent protection was determined by the text of claim 1. Then claim 1 of the patented lock was compared with the infringer lock and although in both cases different terms were used for describing the protector elements, the authority determined that the infringer product included the protected characteristics of claim 1 since both fulfilled the same function of protecting the drum of the lock and both protector elements performed it in an equivalent way (by two similar geometrical figures). The conclusion was that the function and the technical element were the same in both locks. In this resolution an application of the theory by equivalents was shown and it was appreciated that despite some of the components of the infringer lock not matching the components of the protected patent, there is infringement to a patent if the improved effect is produced from the application of the same technical rule providing the solution to the technical problem. In the case Resolution No. 1757-2010/TPI-Indecopi, dated 6 August 2010, docket No. 87-2008/OIN, pages 4 to 6 and 8 to 11 the first instance resolution was repealed and declared groundless as to the infringement. It stated that it is not possible to discuss ‘equivalents’ when the technical effects of the objected product are clearly different and improved regarding the patented product. The equivalency theory should be used when dealing with slight variants of the literality of the patented claim, this is not a substantial change to the inventive rule nor to the improved technical effect. In this case there was not the triple identity since the structures and the achieved function and effect are distinct. Despite the equivalents theory not being applied in this case, the administrative authority recognises that, as from 2006, for cases of infringement of patents, the possibility of its application for the analysis of the extent of protection of a patent beyond the literality of the claims to cover situations resulting in similarities as to function, mode and result regarding the novel technical characteristics protected by the patent. In administrative proceedings, as a mechanism to obtain evidence, the plaintiff can submit purchase invoices of infringing products or third party’s copies of invoices or testimonies. Other mechanisms are administrative inspection diligences and examiners’ reports, and documents can be filed until the issuance of the first administrative instance resolution. In criminal proceedings, the plaintiff may submit, among other things, the product manufactured by the defendant incorporating the claims of the granted patent, and the examiner’s technical report, and may request court inspections and examiners’ reports. Furthermore a complete copy of the specification and claims should be submitted by the plaintiff. The timetable for an infringement proceeding of a patent in an administrative proceeding is six months from the formal accusation until the first instance resolution. The appeal to the administrative court resolution takes between eight months to one year, since hiring an examiner is a requirement. The timetable for a criminal proceeding of a patent crime before the District’s Attorney office (first instance) is between 18 months and two years, and in the superior appeal courts (second instance) the timetable is between two and three years. a product or service using a non-registered mark identical or similar to a trademark registered in the country. Patent infringements are dealt with only before the administrative authorities. Peruvian legislation does not provide for a patent infringement lawsuit. Administrative infringement costs may range from 4,500 nuevo sol to 6,800 nuevo sol in the first instance; in the event of appeal, the whole administrative proceeding in the second instance may amount to 2,100 nuevo sol. Pursuant to article 129 of Legislative Decree No. 1075 and once the administrative channel has been exhausted, the owner of the patent that obtained a final favourable resolution may claim before the civil channel compensation for damage that may have occurred through a civil complaint. If the final administrative resolution is unfavourable, it is possible to bring a suit before the judiciary. In accordance with article 133 of Legislative Decree No. 1309 (issued on 29 December 2016 modifying article 133 of Legislative Decree No. 1075), in an administrative proceeding there is a 15-working day legal term to appeal and such appeal is resolved by the Intellectual Property Administrative Court (TPI) of Indecopi. Pursuant to article 134, an appeal before the Second Administrative Instance can be supported on the submission of new documents. In accordance with article 7 of Legislative Decree No. 124 (summary criminal proceedings), in a criminal proceeding there is a three-working day legal term to appeal, or an appeal can be submitted during the same act of the judgment. In accordance with article 124 of Legislative Decree No. 1075, a patent owner can be accused of a false charge or lack of a reasonable motive for an infringement accusation and sanctioned with a fine of up to 50 UIT (tax units), equivalent to about 202,500 nuevo sol (pursuant to Supreme Decree No. 353-2016 each UIT is equivalent to 4,050 nuevo sol), and a possible criminal sanction or be forced to pay the appropriate compensation for damage. The patent owner can also be accused if he or she carries out dishonest commercial acts contrary to the business that good faith demands and that affect the competition of the market according to Legislative Decree No. 1044 approving the Law on Repression of Unfair Competition (2008). Within the administrative proceeding of infringements it is usual that, after the inspection, the administrative authority summons the parties to a conciliation hearing where, if both parties agree, the dispute is solved, although the official citations may be done at any time during the proceeding. The hearing is carried out before the competent authority and before any person appointed by both parties. If both parties reach an agreement, official minutes are taken by the competent authority, wherein the agreement is recorded that will have right of execution according to article 108 of Legislative Decree No. 1075. Disputes regarding patents can be solved by arbitration. In Peru, there are private arbitration centres, such as that of the Chamber of Commerce of Lima and of the Lima Bar Association. In these centres, any intellectual property dispute can be solved, particularly patents. They have a large list of specialised arbitrators’ names. Disputes can also be solved by conciliation or mediation. Yes, but with some restrictions established by law. Software and business methods are protected as copyrights. Therefore, they are not considered inventions in accordance with article 15 of Decision 486. Medical procedures (therapeutic and surgical methods for the treatment of humans or animals) are not considered patentable in accordance with article 20 of Decision 486. In accordance with article 14 of Decision 486, patents for inventions will be granted for goods or processes. Further, there are two other types of patents, namely selection inventions and divisional applications. (a) Inventions made by the employee in the course of a contract or employment or service agreement, the total or partial purpose of which is to carry out inventive activities shall belong to the employer. However, the employer should assign to the worker an adequate compensation if the personal support of the worker to the invention, the economic value thereof or the importance of said invention exceeds the explicit or implicit objectives of the agreement or employer or service agreement. The amount of the compensation will be fixed by judge specialised in civil matters, in accordance with the rules of expedited summary proceedings, where there is no agreement between the parties. (b) If the employee makes an invention in relation to his professional activity and by using means or information provided by the employer, the employer shall have the right to assume ownership of the invention or to reserve the right of use thereof within a period of 90 days from the time at which the employer became aware of the existence of the invention. Where the employer assumes ownership of an invention or reserves the right of use thereof, the employee shall be entitled to adequate compensation in accordance with the industrial and economic importance of the invention, due account being taken of the means or information provided by the firm and the contributions by the employee that enabled him to carry out the invention. The amount of compensation shall be fixed by a judge specialised in civil matters in accordance with the rules of expedited summary proceedings, where there is no agreement between the parties. (c) Inventions made while an employment agreement is in force or a service contract is being carried out, the making of which is not covered by the circumstances provided for in subparagraphs (a) and (b), shall belong exclusively to the inventor thereof. This regime is applied to universities and other research and teaching centres in respect of inventions performed by their teachers or researchers, unless otherwise provided in the Regulation of these centres. Resolution No. 1248-2012/DIN/Indecopi of 28 September 2012 which recorded in the Register the addition of one inventor to Patent No. 5526 owned by Grünenthal GmbH. With the exception of these cases, the right to the patent exclusively belongs to the inventor when he or she carries out inventions during his or her employment relationship or under a service contract. It is possible to point out there are cases where the owner of the invention is a juridical entity and if the inventors do not have an employment relationship in accordance with Peruvian legislation it is compulsory to file a copy of the assignment document with legalised signatures. Article 36 is applicable for inventions made in education and research centres such as universities, institutes and other education and research centres, regarding the inventions made by the professors or researchers of the contracted institution, except where provisions to the contrary are contained in the statute or the rules of procedure of the said entities. There are cases where a Peruvian university is the owner of a patent jointly with the enterprise that has contracted the research and an investigation institute. In this case there are three owners. In another scenario, the university and the inventors are joint owners, that is, the owners are both juridical persons and natural persons. the ownership of a patent is officially recognised and transferred by a written agreement and recorded in the registry according to article 56 of Decision 486, which is outlined below. A patent grant or a patent application being processed may be assigned or transferred by succession. Any patent assignment or transfer must be registered with the competent national office. Failure to register shall render the assignment or transfer invalid with respect to third parties. In order to be registered, patent assignments or transfers must be in writing. Any interested party may file for registration of a patent assignment or transfer. if there has been fraud, false representation or unfair behaviour (article 8A, Law No. 29316, published on 14 January 2009, which modifies Legislative Decree No. 1075). Failure to pay an annual fee within the legal terms, as stipulated in article 80 of Decision 486, will result in the legal lapsing of the patent or the patent application. The invalidation action is first brought at administrative level before the Commission of Inventions and New Technologies, a first administrative instance body composed of three commissioners and a president who is the director of the directorate of inventions and new technologies, which is in charge of patent invalidity. The decision of this commission can be appealed and is remitted to the second administrative instance, which is a specialised intellectual property tribunal composed of four members and the president of the tribunal. There is also a deputy president who occasionally replaces the president. The action for revindication, which is entered at judicial level, is an action lodged to determine who is the legitimate owner of a patent. On concluding the process in the court, the judge will order in the judgment to register the patent in the name of its legitimate owner. Based on this judgment, the administrative authority carries out the assignment of the patent, as stated in article 237 of Decision 486 of the Commission of the Andean Community. a third party who obtained the information directly or indirectly from the inventor or the inventor’s assignee (articles 16 and 17 of Decision 486). Article 18 of Decision 486 considers that an invention involves an inventive step if, for any person in the trade who is conversant with the corresponding technical matter, the invention cannot be considered obvious, nor could it have been obviously derived from the state of the art. The Tribunal of Justice of the Andean Community of Nations in Process 43-IP-2014, Pre-Judicial Interpretation dated 8 June 2014, sets forth that analysis of an invention carried out by the patent examiner is deemed to have an inventive step if it is beyond the knowledge of a technician with average skills, since the point is that the obviousness should not exist, and this is only achieved when beginning from the standard knowledge for a skilled person in the related technical field. The Tribunal of Justice sets out the role of an average technician in the subject matter, who should familiarise him or herself in the state of the art existing at the time of applying for the invention patent or the priority date. He or she should start from basic knowledge as well as from the problem and identify any technical features of the invention that are different from those of the state of the art. Then the following questions should be posed, was the technician in a position to: raise this problem, solve the problem in the way claimed or foresee the result? The tribunal considers that in the case of affirmative answers for these three questions, there is a lack of inventive step. This 43-IP-2014 process enables the standard to be seen to determine if a patent has inventive step. To this end, a skilled person with average knowledge should carry out a comparative examination by combining documents of the state of the art and, from an overall assessment of the disclosures to determine whether the invention has been produced or not. 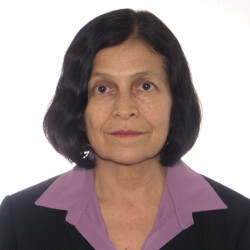 The Tribunal of Justice of the Andean Community of Nations in the Process 73-IP-2014 Pre-Judicial Interpretation dated 25 August 2014, with regard to the inventive step, concluded that an invention benefits from an inventive step when, according to an average person skilled in the subject matter, more than a simple application of the technical knowledge in the subject matter is needed to attain this invention. That is to say, in accordance with the state of the art, the invention is not a clear and direct consequence of said state of the art, but entails a progress or a qualitative leap in developing the technical rule. Through this process, it can be seen whether there is any qualitative leap (unexpected effect) in developing the technical rule, or a simple derivation in an obvious way from the state of the art, and if it is obvious for a skilled person in the art, the invention would not involve an inventive step. A patent can be deemed unenforceable with respect to acts carried out in a private circle and for non-commercial purposes, exclusively to experiment with the subject matter of the patented invention, for the purpose of teaching or scientific or academic research, among others (see article 53 of Decision 486). Further, a patent can be deemed unenforceable in cases of international exhaustion of the patent right (see article 54 of Decision 486). The rights conferred by a patent may not be asserted against a third party that, in good faith and before the priority date or the filing date of the application on which the patent was granted, was already using or exploiting the invention, or had already made effective and serious preparations for such use or exploitation. In such case, the said third party shall have the right to start or continue using or exploiting the invention, but that right may only be assigned or transferred together with the business or company in which that use or exploitation is taking place. In Peruvian national patent law, there is an exception to the exclusive right of a patent holder for parties who have used the invention before the filing or priority date of the patent (prior user rights). This exception is used as a defence in an infringement action. Without prejudice to the provisions stipulated in this decision with respect to patent nullity, the rights conferred by a patent may not be asserted against a third party that, in good faith and before the priority date or the filing date of the application on which the patent was granted, was already using or exploiting the invention, or had already made effective and serious preparations for such use or exploitation. In such a case, the said third party will have the right to start or continue using or exploiting the invention, but that right may only be assigned or transferred together with the business or company in which that use or exploitation is taking place. In order to apply this article, two conditions should be met: that the use is made in good faith and that the date of said use is prior to the priority date or filing date of the application. There should be a factual situation prior to the filing of the patent application or recognised priority. The invention should have been developed, that is to say, that effective or serious preparations for such use or exploitation of said invention had already been made, or the invention had been used or exploited. For the purposes of applying article 55, it is necessary that the product under infringement action (pre-use) displays the same characteristics as those protected by the patented product. It is not applied assuming that they are different products. The national law does not allow changes regarding the protected subject matter. The use should be prior to the prescription of infringement action that, pursuant to article 244 of Decision 486, prescribes within two years from the date the holder had knowledge of the infringement or, in any case, five years counted from the date the infringement was last committed. The prior factual situation of good faith is privileged (exploitation or effective preparations), providing there is no behaviour deemed an infringement against the patent rights, thus avoiding the first-to-file system undermining the investments being made. If the owner of a patent obtains a favourable decision in the administrative channel regarding its action for patent infringement, the owner can request the authorities to order that the losing party pays the costs and fees of the proceedings which the other party or Indecopi may have incurred. Furthermore, according to article 239 of Decision 486, the owner of a patent shall have the right to enter a claim for damages before the court after obtaining a final favourable resolution in the administrative channel. Compensation shall be lawful only in respect of the subject matter covered by the patent grant, and shall be computed in accordance with the patent’s effective exploitation by the defendant over the period in question. Costs for damages must be objectively proven (with documents). For example, in cases of an emerging damage, that is, the loss of wealth suffered by the patent owner as a result of the unauthorised exploitation of the patent, the common market value of the patented object must be considered. In cases of lucrum cessans, the profits the owner would have obtained by the exploitation of the patent in the period between the damage effective fact and the monetary payment of the compensation will constitute damages. In addition, the amount of real or potential illicit profits obtained by the infringer as a consequence of their infringement actions and the price they must have paid for the granting of a contractual licence of exploitation of the patent will be considered, taking into account the commercial value of the infringed right and the previously granted licences. In some cases, the legal effect of the exploitation right of the patent and the initial infringement period are also considered. The types of licences granted are also considered. This criterion could be considered as ‘hypothetical royalty’ without the need for the owner to have granted or intended to grant licences. In other cases, recidivism of infringing actions and the infringers’ bad faith are also taken into consideration to determine the monetary penalty. In criminal proceedings, monetary compensation is requested along with the penalty, according to article 92 of the Criminal Code. Pursuant to article 93 of the Criminal Code, it comprises the following: the restitution of the goods or, if this is not possible, the payment of their value and compensation for damage and loss. It is possible to obtain an injunction if the person who requests it proves his or her right, the existence of an imminent infringement and proof that allow him or her to suppose the infringement. A provisional measure shall be ordered only where the persons requesting it accredit their lawful right to act and the existence of the infringed right, and provide evidence allowing for a reasonable presumption of infringement or that infringement is imminent. The competent national authority may require persons requesting the measure to post a hand or sufficient equivalent assurance before ordering such a measure. The applicant for a provisional measure in respect of particular goods should supply the necessary information and a sufficiently detailed and precise description so that the allegedly infringing goods can be identified. Immediate provisional measures may be requested before or during an infringement in accordance with article 245 of Decision 486, which states that any party initiating or who shall initiate an action for infringement may request the competent national authority to order immediate provisional measures for the purpose of preventing an infringement from occurring, avoiding its consequences, obtaining or preserving evidence, or ensuring the effectiveness of the action or arranging compensation for damages. Provisional measures may be requested before starting the action, alongside it or after it has been initiated. In accordance with Article 114 of the Legislative Decree No. 1075, the precautionary measures are issued by the Authority on behalf of and under the responsibility of the party that requests such measures. According to Legislative Decree No. 1309 an appeal can be filed in an infringement proceeding against a resolution ruling on a request for precautionary measures. Yes, it is possible to block the importation of infringing products into the country as there is a proceeding that may be either at the request of a party or ex officio. The Industrial Property Authority, which is located at customs and has detected the arrival of alleged infringing material, sends an official letter to customs and to the owner. The owner of an industrial property right may request an injunction to order immobilisation at customs. If there is a formal infringement complaint, a preliminary examination (technical report) is carried out in order to verify whether the products have the same matter protected by a patent, and then the customs authority is notified. After this, a verifying inspection is carried out where the products may be immobilised until the issuance of the respective resolution. In administrative proceedings, article 126 of Legislative Decree No. 1075 states that, at the request of a party, the administrative authority will order that the defeated party assumes the payment of court costs and expenses of the procedure. Likewise, in accordance with article 127 of Legislative Decree No. 1075, the winning party must submit a settlement of costs and fees so that the competent authority can issue a decision. This resolution, which determines the fees, will have executive force. According to Legislative Decree No. 1309 the payment of court costs and expenses are applicable for vexatious oppositions. In the civil channel, court costs and expenses can also be satisfactorily recovered. Court costs, such as attorneys’ fees, have to correspond to the accredited real costs. An act of infringement shall be any act which contravenes the industrial property rights recognised under the legislation in force and which is or may be carried out on national territory. Owners of a right protected by virtue of this decision may bring action with the competent national authority against any persons infringing upon their right and also against any persons performing acts that are extremely likely to result in the infringement of that right. The competent national authority may, ex officio and if permitted by the domestic law of the member country concerned, initiate the proceedings for infringement stipulated in that legislation. In case of the co-ownership of a right, any one of the co-owners may bring an action for infringement without need for consent from the other parties, unless there is an agreement to the contrary among the co-owners. According to article 121 of Legislative Decree No. 1075, the criteria for determining sanctions include the repeated commission of an infringing act and bad faith in the commission of the infringing act, which could be considered involving an unlawful act. In accordance with article 129 of Legislative Decree No. 1075, the time limit for initiating a compensation action for damages (civil court) is two years from when the administrative procedure is ended. There are no provisions for the mandatory marking of patented products under Andean Community patent law. As such, there are no adverse consequences if the patent is not marked on the product, but it is considered as good practice since the patent marking informs about the patented product. False patent marking constitutes a law infringement due to being deceitful or false advertising in accordance with article 13 of Law 29571, the Code for Protection and Defence of Consumers. With regard to the consequences of false patent marking, if marking is included without the product being patented, the patent holder would be subject to legal sanctions due to false declaration or deceitful advertising, or both. the competent national authority shall not register any licence agreements for patent exploitation that do not conform to the provisions of the Common Regime for the Treatment of Foreign Capital and for Trademarks, Patents, Licences, and Royalties, or that do not conform to Andean Community or domestic antitrust provisions. At the expiry of a period of three years following a patent grant or of four years following the application for a patent, whichever is longer, the competent national office may grant a compulsory licence mainly for the industrial manufacture of the product covered by the patent, or for full use of the patented process, at the request of any interested party, but only if, at the time of the request, the patent had not been exploited in the manner specified in articles 59 and 60, in the member country in which the licence is sought, or if the exploitation of the invention had been suspended for more than one year. Compulsory licences shall not be granted if patent owners are able to give valid reasons for their failure to act, which may be reasons of force majeure or an act of God, in accordance with the domestic provisions in effect in each member country. A compulsory licence shall be granted only if, prior to applying for it, the proposed user has made efforts to obtain a contractual licence from the patent holder on reasonable commercial terms and conditions and that such efforts were not successful within a reasonable period of time. the licensee shall exploit the licensed invention within a period of two years following the date the licence was granted, unless that licensee is able to give valid reasons for inaction consisting of force majeure or an act of God. Otherwise, at the patent owner’s request, the competent national office shall revoke the compulsory licence. Following the declaration by a Member Country of the existence of public interest, an emergency, or national security considerations, and only for so long as those considerations exist, the patent may be subject to compulsory licensing at any time. In that case, the competent national office shall grant the licences that are applied for. The owner of the patent so licensed shall be notified as soon as is reasonably possible. The competent national office shall specify the scope or extent of the compulsory licence and, in particular, the term for which it is granted, the subject matter of the licence, and the amount of remuneration and the conditions for its payment. The grant of a compulsory licence for reasons of public interest shall not reduce the right of the patent owner to continue exploiting it. When a patent owner does not exploit his or her invention within three years after its grant and there is an interested party applying for a compulsory licence of the non-used patent and the said owner does not unjustifiably grant the licence, the interested party may request the compulsory licence to the competent authority, which will grant the said licence to the said party only if the patent owner did not justify his or her failure of exploitation. If the patent owner does not exploit the patent in Peru during a period of more than three years and there is no third party interested in obtaining a compulsory licence, the Directorate of Inventions and New Technologies would not act ex officio and will not invalidate the patent. Obtaining a patent typically takes an average of three and a half years and cannot take more than five years, because after the said period of time, pursuant to the present law (article 32 of Legislative Decree No. 1075), the Directorate of Inventions and New Technologies, solely at the request of the party, will adjust the patent term. If the competent authority commits an unreasonable delay during the granting procedure of a patent exceeding more than five years from the application date or three years from the substantive examination (except for patents claiming a pharmaceutical product) the adjustment provided by law is applicable, which is a compensation of the legally effective term of the patent. The adjustment is carried out once: when the competent authority, during the granting process of the patent, has committed an unreasonable delay for more than five years from the filing date of the patent application or three years from the substantive examination to the granting date of the patent. If the delay is incurred by the patent owner, it will not be compensated. The compensation procedure is regulated in articles 32, 33, 34 and 35 of Legislative Decree No. 1075.
from the 11th year up to 20 years - US$289. Note that if these payments are not made within the legal terms, the owner or applicant is notified with a new grace term (six months) for making the payment with a surcharge. Contentious actions are not included. In Peru, it is currently possible to expedite patent prosecution. To this end, the Peruvian Patent Ofice has a PPH programme with the patent offices of the following countries: Spain, Chile, Colombia, Mexico, Uruguay, Argentina, Brazil and Japan. In this sense, it is possible to submit a PPH request in Peru based on the positive examination of a related application in any of the above mentioned countries. There are some mandatory requirements to access to the PPH programme. One of the most important requirements is that both applications must have sufficient correspondence in their claims (ie, they must have the same set of claims), in addition to not contravening any provisions with respect to Peruvian legislation. a copy of the documents cited by the examiner in the other jurisdiction. In the case of patent documents or applications available in Patentscope, Espacenet or USPTO, only the documents are necessary. However, if the documents are not related to patents such as scientific articles, a copy of the documents and their translation into Spanish will be necessary. Admission to the PPH programme can only be requested before the issuance of the first technical report, and only if the application has already been published and the substantive examination fees have been duly paid. a statement as to how the invention meets the condition of being capable of industrial application, if this is not clear from the description or the nature of the invention itself (article 28 of Decision 486). Claims should specify the subject matter for which the patent protection is sought. They must be stated clearly and concisely and be fully substantiated by the description. Claims may be independent or dependent. A claim should be independent when it defines the subject matter in respect of which protection is sought without referring to any previous claim. A dependent claim, on the other hand, defines the subject matter for which protection is sought by referring to a prior claim. A claim referring to two or more previous claims is considered a multiple dependent claim (article 30 of Decision 486). The summary should consist of a synthesis of the technical explanation given in the patent application. That summary will be used to provide technical information only and will have no effect whatsoever on the interpretation of the scope of protection conferred by the patent (article 31 of Decision 486). Moreover, in view of the PCT application, the patent application filed in the original country along with the technical documents and its translation must be disclosed or described according to article 22 of the PCT in regard to patent matters. There are no legal provisions stating that an inventor must disclose prior art to the Patent Office examiner. However, pursuant to article 28 of Decision 486, the specification should contain the prior technology known to the applicant. A patent applicant may not file one or more later applications to pursue additional claims of an invention disclosed in its earlier filed application whether these additional claims involve an extension of the initial earlier filed application (ie, the additional claims can be pursued if they are duly supported in the initial specification of the earlier filed application). Likewise, a later patent application can be derived from one of the priority documents claimed in the earlier filed application, as long as it does not include the same matter as originally filed. Later patent applications can only be submitted while the previous one is still in processing. In conclusion, the limitation consists in the fact that the matter of the later patent application can neither reproduce nor exceed the matter of the earlier filed application. It is possible to file an appeal brief before the Patent Office within the 15-working-day term following the next day of notification of the adverse resolution (first-instance resolution) by filing new arguments to be settled in the second administrative instance by the Intellectual Property Court (see article 132 of Legislative Decree No. 1075). If the decision is adverse in the second instance, it is possible to initiate a lawsuit on the nullity of the administrative resolution against the administrative authority that issued the adverse resolution. The legal term to raise a nullity action before the court is three months after the notification of the second administrative resolution. The Patent Office does provide a mechanism for opposing the grant of a patent. According to article 42 of Decision 486, oppositions may be filed by interested parties within the 60-working-day legal term from its publication in the Electronic Gazette of Indecopi. At the request of a party, the competent office will grant an additional unique 60-day term to support the opposition. When a patent has been applied for or obtained by persons with no right to obtain it, or to the detriment of other parties possessing a right to the patent, the parties affected may claim before the Patent Office that they have the best right on the patent or the patent application by virtue of the document wherein the date, number and office where the patent application was filed are recorded. Alongside the filing date of the patent application, this document must record the payment of established fees. It is worth noting that the priority statement and the document accrediting the priority must be filed along with the patent application within the 16-month legal term from the filing date of the patent application whose priority is invoked (see article 10 of Decision 486). The Patent Office has procedures for modifying a patent in accordance with article 34 of Decision 486. Usually, as per present practice, claims can be modified until prior to the issue of an administrative resolution of first instance. It is also possible to divide the patent application as originally filed into two or more divisional patents, according to article 36 of Decision 486. This division can be done either ex officio or at the request of the interested party. Regarding the re-examination of a patent, there is a reconsideration mechanism available to applicants for patents who wish to contest a negative verdict. The applicant may submit new documentary evidence and request that the invention be examined again in the light of the new submitted documents. Revoking a patent is possible by an administrative nullity action of the patent in accordance with articles 75 (absolute nullity) and 76 (relative nullity) of Decision 486 and in nullity cases, when a patent was granted to a person who had no right to it, in accordance with article 77 of Decision 486. The nullity of a second administrative instance resolution denying the patent can be requested by an impugning judicial action of the administrative resolution according to article 5 of the Ordered Unique Text of the Law, which regulates the contentious administrative process (Law 27584, Supreme Decree No. 013-2008-JUS). The judicial authority cannot amend the claims of a patent but can rule the nullity of the second administrative instance resolution that denied the patent and order that the competent administrative authority assesses the claims through a new substantive examination and issues a resolution. The re-examination of patents is carried out in a reconsideration, appeal or in a nullity action because the administrative authority carries out an examination of the patent again but not of the set of claims, since this cannot be amended in the reconsideration. The patentability examination is performed on the new instrumental proof and in the appeal on the arguments. The duration of a patent of invention is 20 years as from the filing date for national applications or from the PCT International application date for national phase applications (see article 50 of Decision 486). Upon the patent being granted, maintenance fees must be paid regularly each year in advance. The due date of each annual payment is the last day of the month on which the application was filed. There is a grace period of six months from the due date in which to pay the annuities together with the established overcharge. During the grace period, the patent maintains full enforceability. Lack of payment of an annuity causes the patent to lapse. In Peru, there is an adjustment system for an unreasonable delay of more than five years from the filing date of the application or three years from the substantive examination, regulated in articles 32 to 35 of Legislative Decree No. 1075, whereby the patent term will be adjusted where an unreasonable delay has occurred in the granting process, attributable to the competent authority, except where the patent is for a pharmaceutical product or procedure. On 30 June 2017, Supreme Decree No. 071-2017-PCM came into force, implementing the electronic publication for the elements of industrial property, including patents of invention, in the Electronic Gazette of Indecopi. Publication of the Electronic Gazette of Indecopi is made on a daily basis and is available, in a permanent way and free, through the institutional web portal of Indecopi. This new procedure decreases the cost of the process of registration engendered by publication and allows users to obtain their registrations in a fast and efficient way. Similarly, it facilitates access to information regarding the administrative proceedings of registration. On 8 September 2018, Legislative Decree No. 1397 came into effect, modifying the previous Decree No. 1075 on industrial property to improve efficiency in the framework of modernising and simplifying procedures.